Bill Miller Photographers was established in 1961 in Falkirk, Central Scotland. 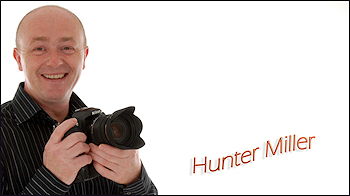 We are a family run company with over 50 years in the photographic industry. Our experience and knowledge in photography is vast, with attention to detail foremost in our minds when we deal with each and every customer. We believe that our work is second to none and have pride in the fact we are Central Scotland's leading professional photographers. Our client base is long and varied, we have done work for companies from around the world. A few examples of our clients; British Airways, Zeneca, Avecia, BP Oil, Tetley UK, Tarmac Construction, Burmah Castrol Group, Avis, Syngenta, Securicor, BioMar, Esso, Texaco Oil, Kerr McGee Corporation Oklahoma, Image Polymers, Duncan Adams Transport, John Mitchell & Sons Transport, Forth Ports, Biomar, Falkirk Council, North & South Lanarkshire Council, Premier Airflow Systems, Kerr McGee Corporation USA, Wella UK, Archibald Russell Denny, British Midland, Official Photographers-Glasgow Garden Festival, and hundreds more P.R. companies and the list goes on.